Here's how to safely transfer your senior clients. No matter what type of transferring you're doing, make sure you're always keeping your back and neck straight and your feet shoulder-width apart. Bend at your hips and knees, and use your legs to lift your clients rather than your back. It's important to refrain from pulling on your clients' arms and legs or gripping them under their underarms while you're transferring. Stand as close as you can to your clients and grip them around the torso or hips. 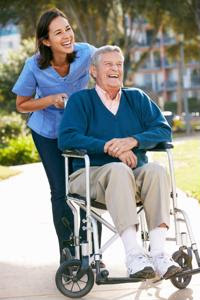 Many caregivers use an assistive belt that wraps around their client's body, which is often easier to hold onto. You aren't in this alone. Have your clients help as much as they can. Ask them to slide toward the edge of the bed or chair and hang onto you as they're moving. Make sure you let them know every step you're taking throughout the transferring process so they can prepare themselves.